Amazon jumped into the simple home security arena this morning by introducing a security camera and front door security system that will allow your Amazon delivery guy to drop packages inside your home. That’s right, Amazon is now more than just an Alexa and Fire company – they also do home security. Their first security camera is called Amazon Cloud Cam and it’s stupidly cheap at $119.99. Well, that’s for a single unit. If you want to outfit your entire home, they are selling 2-packs for $199.99 (code: 2CLOUDCAM) and 3-packs for $289.99 (code: 3CLOUDCAM). Seriously, those prices are nuts. If you went the Nest Cam or Nest Cam IQ route, you’d be looking at a $500 price for 3 cameras or as much as $299 for a single cam. The Cloud Cam is an indoor-only cam, records at 1080p (120-degree angle), works with Alexa to be viewed on TVs or Echo products (and the Cloud Cam app), has night vision, does live viewing, features a built-in speaker and mic, detects motion and people (with plan), and gives you 24 hours of recorded clips for free (up to 3 cameras). If you want more recordings, they have monthly payment options that start at $6.99. That payment option provides 7 days of recordings for up to 3 cameras, person detection, zone setup, and unlimited sharing of clips. As for the home delivery and security stuff I mentioned above, Amazon also announced the Amazon Key. Amazon Key is a combination package that includes a Cloud Cam and a smart lock ($249.99 for both). Those paired with your Amazon Prime account allows Amazon delivery drivers entry to your home to drop off packages. You can also use this to let in service appointments or guests. Wait, that sounds super sneaky and insecure, how does that work? Amazon says that to start, it’ll only work in 37 cities and that it comes at no extra cost to you (even home setup is free by a professional). Once setup, you get live view of the deliveries to your home, as well as notifications that they are happening. When a driver is set to drop off a package, Amazon uses an “encrypted authentication process” to let them in, rather than revealing your unlock code. 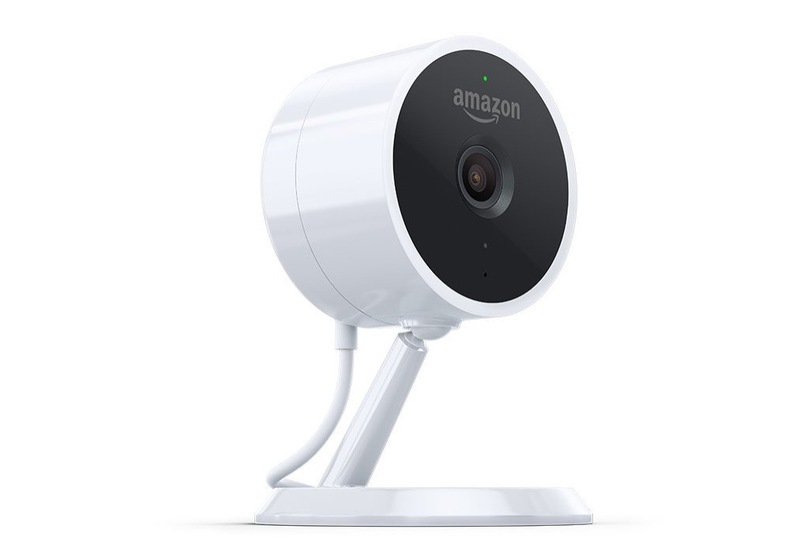 Amazon Cloud Cam can be pre-ordered right now and arrives November 8. Same goes for Amazon Key.